The Sahana Software Foundation has partnered with France Volontaires, Groupe URD, the Humanitarian OpenStreetMap Team (HOT) and other European humanitarian organizations on a pilot project sponsored by the EU under the newly adopted EU Aid Volunteers initiative. The objective of the EUROSHA pilot project (for “EURopean Open Source Humanitarian Aid”) is to train and deploy a small group of volunteers to four disaster prone African countries to conduct humanitarian information data collection using open source tools. The four countries participating in this pilot project are Burundi, the Central African Republic, Chad and Kenya. 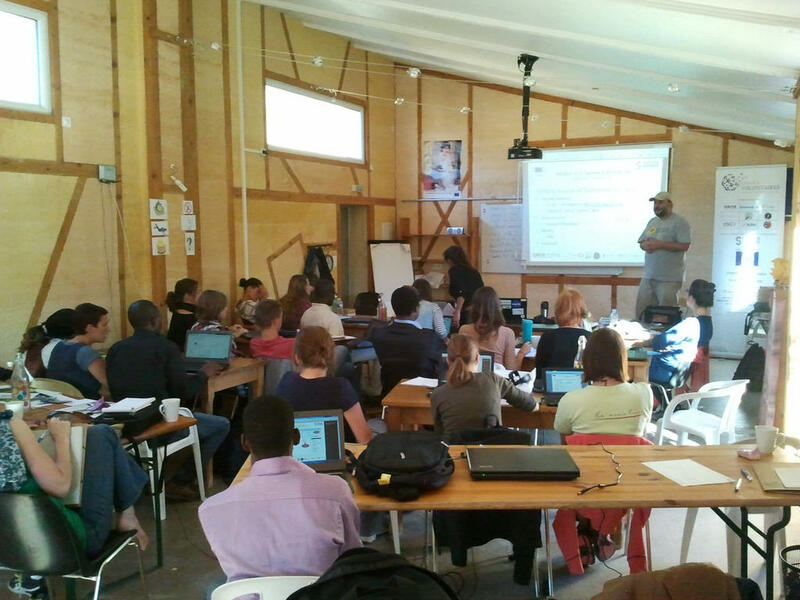 Twenty five volunteers received training at Groupe URD’s headquarters in Plaisians, France this week in Sahana Eden and OpenStreetMap. When they arrive with their hosting organizations next month, they will begin to record point of interest information for important facilities (such as hospitals and medical facilities) and “3W” project information (who is doing what where) in Sahana Eden; they will be using OpenStreetMap to improve road and other geographic data in these countries. Over their six month deployment, the volunteers will introduce and train local organizations in the use of these tools so they become sustainable systems for disaster resiliency, preparedness and response. “I expect that this small pilot project will help demonstrate the value of Sahana software to humanitarian organizations and donors in a new way,” said Prutsalis. Previous Post: Code Like A Girl Again on October 6 with Sahana Eden!